Direct Sports are the #1 Yonex badminton retailer in the UK stocking more badminton rackets than any of our competitors. We were the first to introduce online professional custom string upgrades to the UK badminton market in 2005 and our lead has been imitated by many but never bettered. We offer the latest cut off time for same day despatch of 3pm including string upgrades and offer the best next working day delivery rates. 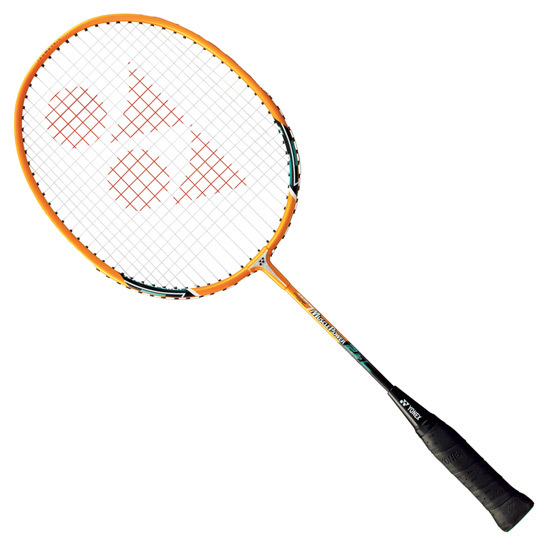 Yonex Muscle Power 2 Junior badminton racket is suitable for players aged between 5 and 7. Features an Aluminium frame with a stiff shaft. Muscle Power technology - close contact of frame and string ensures no power is lost on impact. Racket is supplied strung and comes with a three quarter cover.